I attended the 2017 Harvard Leadership Summit and it was absolutely life-changing. While at the summit, I learned about the true meaning of leadership. I learned leadership is not just being able to lead or guide a group. Leadership is the ability to take charge and change something you’re passionate about, little by little. I learned many valuable lessons from the Summit and I took these lessons back home with me. At the summit, my group picked the topic of Human Trafficking Awareness to research and present. I decided to continue working on this topic when returning home to Charlotte, which ranks #1 in North Carolina for human trafficking. My School Resource Officer supervised my project and we created a Human Trafficking Awareness Night for our school. We had over 145 students and parents attend this event to learn more about human trafficking. At my event, the Charlotte Mecklenburg Police Department and Kayla Babson from Present Age Ministries spoke on this topic. Present Age Ministries is a nonprofit organization that helps girls who were previously victims of human trafficking. 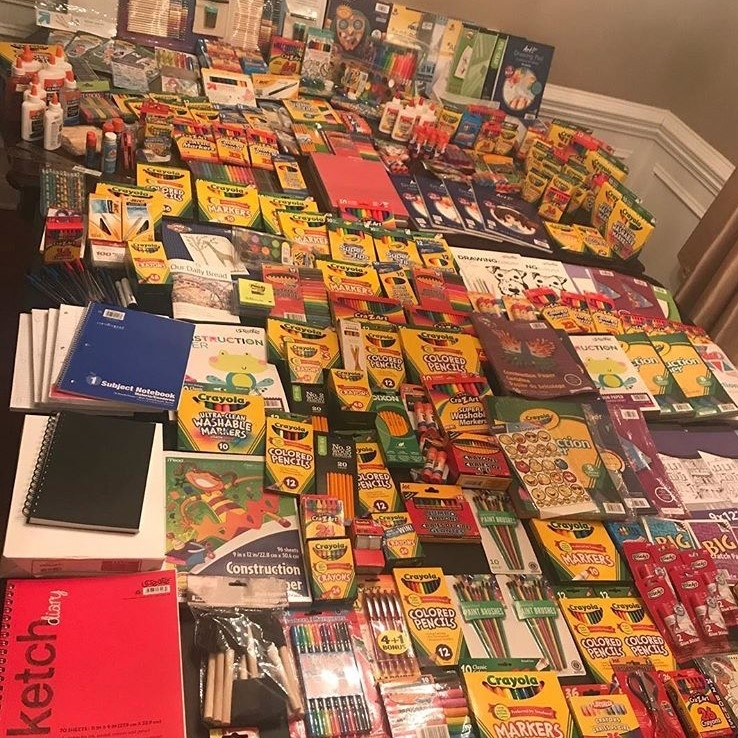 We asked students who attended the event to bring art supplies, which we then donated to Present Age Ministries to use during their group sessions. We were able to collect an incredible amount of art supplies to donate (as you can see above)! This project not only gave me and others new information, but it also helped me learn new things about myself. I will continue to work on my project and my principal has agreed to hold the Human Trafficking Awareness Event annually at my school. Since attending the Leadership Summit, I have been encouraged to take charge of my opportunities to be a leader. Also at the Summit, I was given good tips about how to be successful as I go throughout the rest of middle school, as I start high school, and when the time comes for me to go to college. Without this experience, I wouldn't have the confidence I have now to go out and invest in my community. Makayla is an alum of the 2017 Ambassador Leadership Summit at Harvard University. Follow her on Instagram @presidentmak. Newer PostAlumni Spotlight: Garrett S.